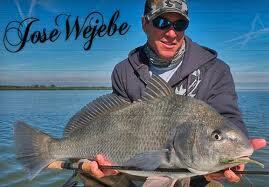 Last nigh the fishing community lost a legend Jose Wejebe of the Spanish Fly died in a plane crash in FL. He was 54. H had been hosting his TV show as long as I can remember. As a kid I loved it early Saturday mornings when The Spanish Fly came on. Jose was an inspiration to me and many many others and may he Rest in Pace. Pat from West Deptford had a great morning Tog fishing at Townsend Inlet. He had his limit of 4 in a short time with the largest at 4lb 12oz 19 inches. All the fish were taken on Clam. This time of year clams can be very productive for tog but we do have green crabs and white leggers in stock also.